Thousands of people have taken their first flight in a general aviation trainer like the Cessna 152. Its outstanding handling and relative efficiency made it the ideal aircraft choice with pilot training centers across the country and helped countless first-flight people later solo, usually just a few weeks later. Everyone remembers their first flight, their first solo and the aircraft they flew in. To say that the memories many people have of the Cessna 152 are magical would be an understatement. 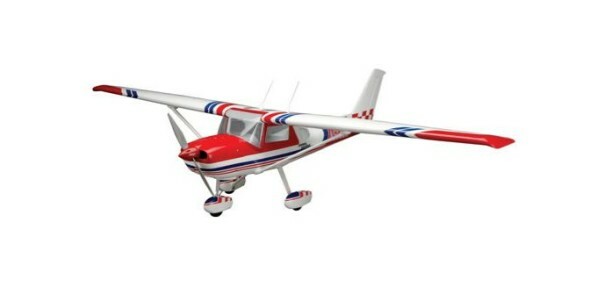 The Seagull Models Cessna 152 60-91 ARF was designed with the intermediate/advanced sport flyer in mind and includes a number of features that make the magic come alive. 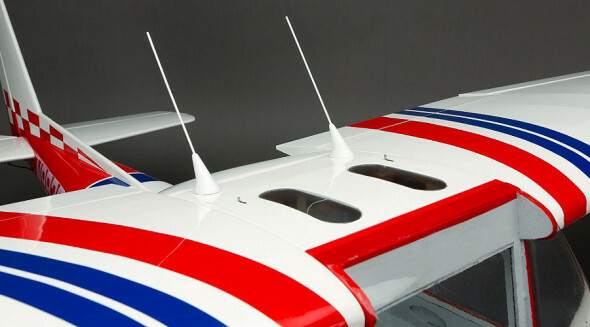 The semi-scale design of this model makes it easy to fly and quick to assemble. The eye catching scale color scheme, in genuine Hangar 9® UltraCote® film, delivers long-lasting durability and is reminiscent of the Aerobat version of the 152 that many student pilots of the day wished they could climb into. The balsa and plywood airframe features balsa sheeting where appropriate to make it stronger than the average ARF, yet the design allows it to be kept light. Its two-piece, plug-in wing, scale oleo nose landing gear and aluminum main painted landing gear provide outstanding looks and great control so you can look good on the ground as well as in the air.